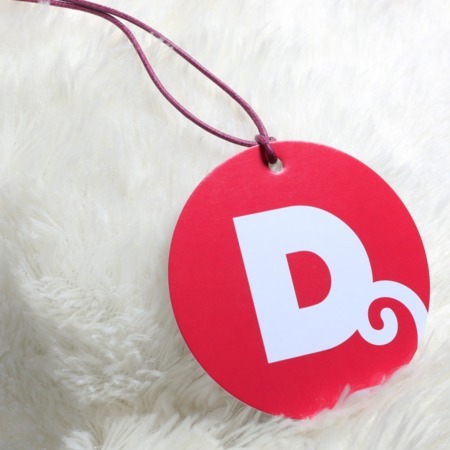 Ordinary rectangular hang tags are great, but you stand out a bit more with circle hang tags. The circle shape is one of our most popular options for die-cut tags because they have a unique look but aren't too far out of the box. These custom printed tags are popular for clothing, or as wedding favor tags, or other personalized favor tags. Use them when normal rectangular tags don't stand out enough. Like our other hang tags, our round hang tags are made from thick, durable cardstock from sustainable sources. Optional holes are available and all tags come in your choice of finishes, including more moisture tolerant gloss and a writable matte. You can even order free stock samples to test them out yourself. Learn more about our custom options by calling us at 888-888-4211.